On Saturday, Nov. 3, from 10 p.m. to 1 a.m., Scripps hosted its biggest 5C party of the year, the legendary “Eurobash.” Dressed in attire ranging from sequined mini skirts and glittery mesh tops to more casually chic blue jeans and tees, students streamed in unruly files toward Scripps’ parking garage for a night full of lights and music. DJs Vani Dewan and Devang Patel offered a diverse array of tunes for students to jam to, and, throughout the event, students got down to 2000s pop hits as well as more recent music. Especially energetic dancers could be seen throwing their hands up in the air and rocking their heads back and forth to the beat, while the boldest of them squeezed their way up front to mosh. Here, the temperature was noticeably degrees hotter and sweat poured freely as students danced and collided into one another, causing whole groups of people to sway and buckle under the weight. Shorter students complained of getting squashed and elbowed in the head while girls in heels grimaced as other dancers bopped up and down on their toes. 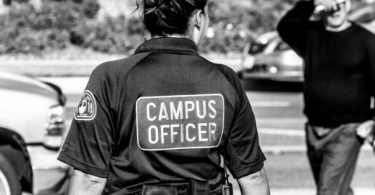 After getting their share of heat and discomfort, or in need of a bathroom break after uninhibited dancing, students linked arms with their friends and shoved through barricades of people to find some air. Once outside the mass of grooving students, one could catch a breath in the emptier sections of the garage and enjoy the flashing blue and purple lights from afar. In comparison to other social gatherings at the 5Cs, how did Scripps’ biggest party of the year stack up? 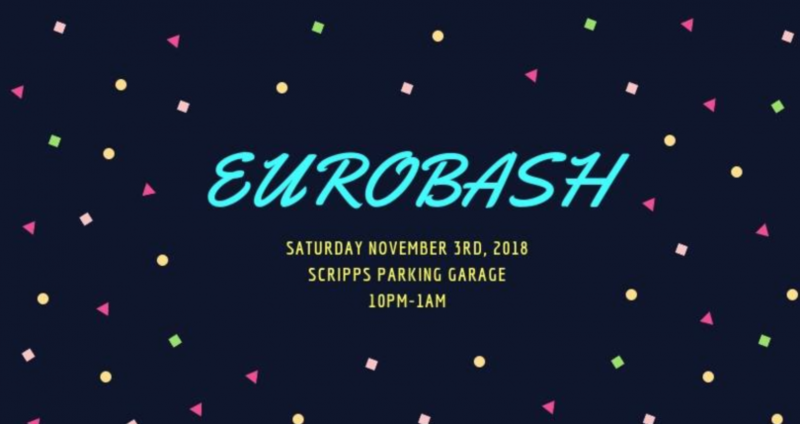 According to one Scripps senior, Eurobash is, consistently, “the best party of the year.” For others, Eurobash felt a bit too unruly and claustrophobic. Many attendees could be spotted at The Hub early in the night, having escaped the garage to enjoy a more low-key evening. 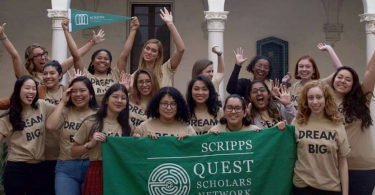 For moshers and dance enthusiasts, Scripps Associated Students (SAS) certainly hosted a night to remember. For those in favor of chill kickbacks or more intimate gatherings, Eurobash might not have been the ideal scene. In any case, the event allowed students to get their glitter on and dance off any stress from the past semester.